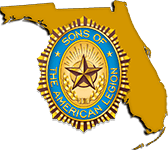 Welcome to the Detachment of Florida’s Southwestern Area Page! Here you will find information about things going on in the Southwestern Area. You also can sign up for the Districts’ mailing lists here. NOTE: Any email addresses submitted here are SAFE. The Detachment of Florida does NOT share or sell email addresses or other personal information to outside sources. Stay informed on what’s happening in the Detachment. Sign up for the Detachment of Florida Email Group!